Have We Been Misspelling J.B. Pritzker's Name? Gov. J.B. Pritzker says he liked the look of his campaign logo, which omits periods from the initials that make up his first name. There is a mystery at the heart of Illinois government. Statehouse reporters have been in private discussions about it for weeks. After internal deliberations here at public radio, we thought it was finally time to go public. Brian Mackey talks to Gov. J.B. Pritzker — or is that JB Pritzker? — about his abbreviated given name. The question has repercussions throughout state government. It has a role in every piece of legislation that will be signed into law in the coming years. Ultimately, it flows from the highest level of power in the land: the office of governor. What we’re really talking about here is a relatively small matter. And I mean literally small — like a poppyseed. I'm talking about periods — the punctuation marks you would expect to come after initials. Major media organizations have been using those periods on the name of Illinois Gov. J.B. Pritzker. But that's not how the governor has been spelling it — at least not lately — though his name has appeared with periods in the past, as when he ran for Congress in 1998. Look, Illinois has big problems, from budget deficits to struggling human service agencies. But if reporters don’t get little details right, we know you’re going to wonder whether we’re getting the big stuff right, too. Pritzker says “J.B.” is the only name he’s ever been called. But I still wanted to know when he decided to stop using periods. 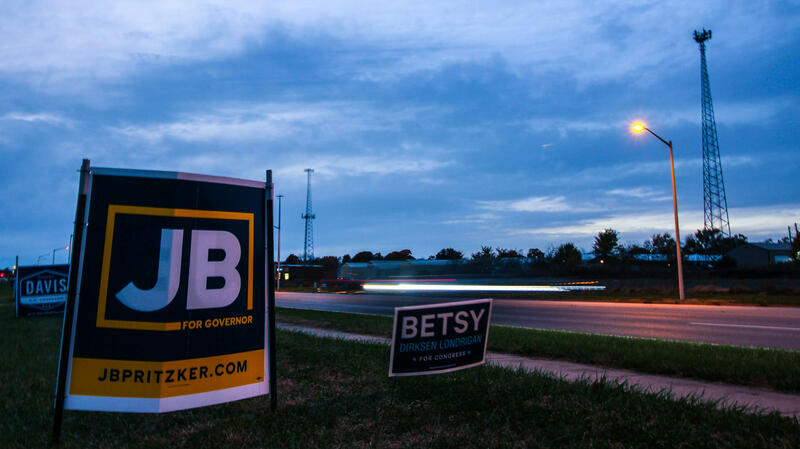 He says when he began his campaign for governor, his team presented him with a logo that did not include the punctuation, and that’s how he’s become known across the state. The punctuation may not matter much to the governor. But like I said earlier, details do matter to reporters. We could end the story there. But on matters of style, we need a decision. So at least here at public radio, a governor named for men called Jay and Bob will remain J.B. Pritzker. The Q&A portions of this story have been edited and condensed. Illinois’ new Gov. J.B. Pritzker has promised to improve the state economy. He took an early step towards that goal Wednesday by signing an executive order that will require the state’s Department of Commerce and Economic Opportunity to evaluate its labor industries. The order gives the department 90 days to deliver a report on its findings. The department will review three parts of the state’s economy. Illinois firearms dealers will now have to have state licenses. 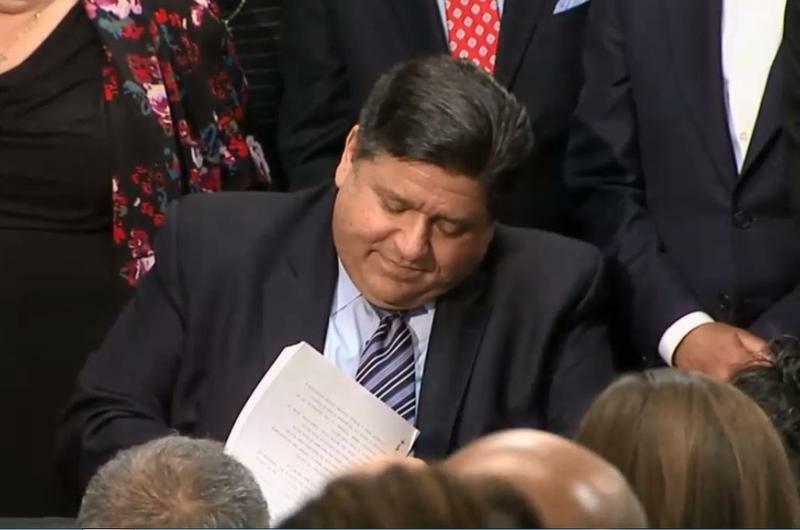 That’s part of a package of changes Governor JB Pritzker signed into law on Thursday.